Good evening, dear readers! I have been enjoying myself at Cosmoprof North America here in Las Vegas the past few days, and I will be sharing a lot of information with you! I have been so busy and need to get some sleep, but I wanted to write a quick post to share the post I wore at Cosmoprof. I hope you enjoy my nails! I used NailVinyls for the first time ever for this mani, and I was amazed at just how easy they were to use! I then topped it off with two coats of HK Girl top coat. I painted my nails on Friday for my trip, and they are still without a single chip and only just the slightest touch of tip wear. 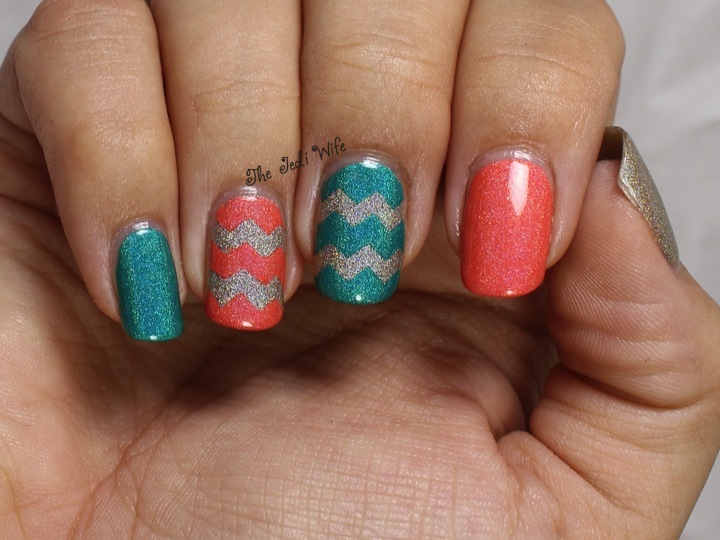 I loved the simplicity of this nail art! I hope you enjoyed this evenings short post, and I look forward to sharing more with you once I get home and some sleep! Have a wonderful night! XO! Love these! 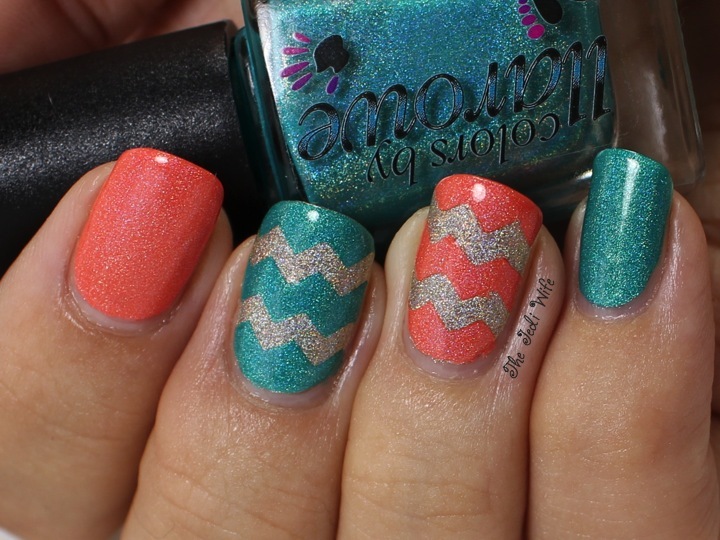 I always like teal and coral together! Love those! The colors are perfect together!